Based on an article published by the Yale Center for Emotional Intelligence, written by Bonnie Brown, Robin Stern and Dawn DeCosta. Not quite one week ago, a series of terrorist attacks rocked the city of Paris. An act of terrorism makes us fear for both our own safety and the safety of those we love and care about. It can cause us to feel vulnerable. It can create an intense and overwhelming emotional response and you may not understand how to cope with these feelings. These same reactions are often true for children. Through this article I will suggest some ways to communicate with your children about the tragedy of the terror attacks in order to help them cope with and navigate their emotional reactions. Terrorist attacks can be difficult to understand for a number of reasons. First and most fundamentally, people want to know why this happened. It is difficult to comprehend how a group of people can decide to create such devastation on a city of innocent people. In addition, these attacks naturally cause us to question our own safety and whether the same thing could happen in the city where you live. This can especially impact children if they do not understand that these attacks are relatively uncommon, one-off events. Therefore it is important to emphasise that these types of attacks are uncommon and that they are still safe. Parents and educators alike are all thinking about the best way to approach the subject of the Paris tragedy. There may be an initial urge to avoid the subject and shield the child from the news. Moreover, it can be difficult to attempt to allay their anxiety when we feel the same and to answer questions that we do not yet understand. However, Social and emotional researchers at Yale proposed that the best approach is to be upfront and straightforward. These researchers suggested that that you must first check-in with your own understanding and feelings toward this tragedy. If you can’t come to terms with your own reactions, how can you expect your child to deal with theirs? Therefore, identify strategies that you use to regulate your ‘RED’ emotion; you may wish to explain how you felt yourself shifting between emotions and how to were able to move from ‘RED’ to ‘GREEN’ emotions as you became calmer over time. This will help to prepare you to help your child as well as create examples for how they may overcome their own ‘RED’ emotions. Just remember, it is important to be authentic and clear about your own feelings and experiences. Help the child to understand that the emotions they are feeling are normal, whether it be sadness, anger, fear, confusion, even numbness. These feelings are all normal reactions to tragic events. It is best for the child to voice their emotions and accept that it is ok and they should not feel pressure to move towards ‘GREEN’ emotional states. Clearly identify social support as a regulation strategy that we can all use in school, at home and in the community when we want to reduce or prevent uncomfortable feelings. People often find comfort in spending time with the ones they love and by supporting each other. You could suggest to the child that it could be nice to hold a friend’s hand or give someone they love a hug. Although it’s natural to want to know what is happening, don’t spend hours glued to the television set. Taking a break from watching what’s going on in the world is OK. Read, play board games, or go outside. Finally, highlight as many of the following points as you can: that events such as the Paris attacks are very rare and unlikely to occur, the child is loved and cherished by those around them, that there are many more good people in the world than bad and those people are working to make sure that events such as this do not happen again. These events are difficult for children to understand, however don’t forget about your own psychological and emotional wellbeing. If you are finding it difficult to cope, remember to take care of yourself by talking to a friend or loved one, getting regular sleep and exercise and continuing to take part in activities that you enjoy. While the entire world mourns for those devastated by the attacks on Paris, remember that you do not need to take all of these issues on board, continue to enjoy your precious, wonderful life. Over the past ten years, psychologist Carol Dweck and her team have studied the effect that praise has on children. Her seminal research was conducted on 400 grade five students and comprised a series of experiments which provided staggering results towards the evidence on growth mindset. Initially, the children were required to individually perform a verbal IQ test and afterwards, the researcher provided the student with their score and a single line of praise. Half of the students were praised for their intelligence, “You must be smart at this”, and the other half were praised for their effort, “You must have worked really hard”. Afterwards, the students were given a choice for the second round. One choice was for a more difficult test, though the researcher mentioned that the child would learn a lot from attempting the puzzle. Whereas the second choice was an easy test, similar to that of the first test. The results indicated that 90% of the children praised for their efforts chose to challenge themselves with the hard test, whereas the majority of those praised for their intelligence chose the easier test. However, even more striking were the results from a third round of testing. The same students were provided with a difficult test designed for children two years older than the students. Although all of the students failed, there were marked differences in the childrens’ approaches and observed resilience when attempting the test. Those who were praised for effort became very involved and engaged in problem solving. Whereas those praised for their intelligence were visibly straining and miserable. In addition, these students assumed that their failure indicated that they were not actually smart. Finally, after completing this very difficult test which intentionally induced failure, the children completed a final test which was similar in difficulty to that of the first test. The children who were praised for their effort produced an average improvement in their scores of 30%. Whereas those praised for intelligence produced significantly lower scores than the initial testing, by about 20%. These results surpassed Dweck’s initial predictions. She had proposed that praise would backfire, however she was surprised by the magnitude of the effects seen. Dweck concluded that overall, “emphasising effort gives a child a variable that they can control” and that the children “come to see themselves as in control of their success”. In addition, these findings have been replicated in various socioeconomic groups and age groups. These praise effects equally impact both boys and girls as well as children as young as preschool age. “Emphasising natural intelligence takes it out of the child’s control, and it provides no good recipe for responding to a failure” (Dweck). Therefore the conclusions are undeniable, children who receive praise for their effort are inherently encouraged to adopt a growth mindset; whereas children praised for intelligence will inevitably adopt a fixed minset. The evidence has shown that growth mindset promotes determination in the face of obstacles, a positive perception of effort as the path to success and the ability to learn from criticism. If you are interested in learning more about growth mindset and strategies to promote this in your children or students, look out for our Growth Mindset courses and webinars in the New Year. 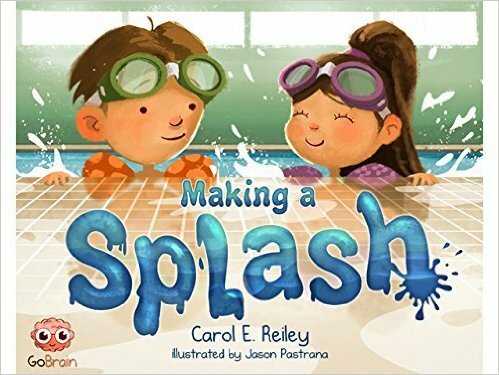 Inspired by the popular mindset idea that hard work and effort can lead to success, Making A Splash is the first of its kind type of story. The book has a fun story for kids and a nonfiction part for parents. 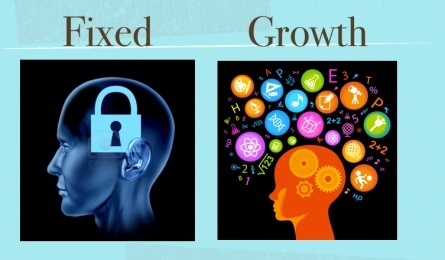 Children fall into one of two categories: Fixed and Growth. Some children have what psychologists call a Fixed Mindset. They think they only have a fixed amount of intelligence. When they try something new and fail, they’re embarrassed because they think it proves they aren’t smart enough. Other children have a growth mindset. They realize that it’s not about how smart you are today, but about how smart you can become. They value learning over looking smart. These kids understand that even geniuses must work hard. People are held back more due to their mindset than their actual capability. The best way to learn is through stories and examples; 30 pages of story + 14 pages for parents about growth mindset. Resilience requires using adaptive responses and strategies in face of serious hardship, in order to improve emotional and social outcomes. Imagine that inside everyone, there are internal coping scales: at one end there are protective experiences and adaptive skills and at the other end there is significant adversity and disadvantage. Therefore, when a child’s health and development are tipped in the positive direction, they are able to cope with a heavier load on the negative side. The combination of a) supportive, committed relationships, b) adaptive skill-building and c) positive developmental experiences; working together to create a strong foundation of resilience. This can also help to develop key skills such as behaviour regulation and adaptation to changing environments which help to buffer children from distress. The interaction between a child’s natural resistance to adversity and their relationships with important adults builds the capacities to cope with adversity. Not all stress is harmful, it is beneficial for children to experience ‘positive stress’ which enables them to cope successfully with life’s obstacles. However when stress feels overwhelming and the child is not properly supported, the scales tip towards negative outcomes. Children who are innately more sensitive than others tend to be more vulnerable to stressful circumstances; however these children also respond in very positive ways within supportive environments. Therefore, these children require responsive, supporting relationships, especially during times of hardship. Finally, remember, a child’s early life experiences lay the foundation for a range of resilience strategies, therefore developmental experiences early in life can strengthen this foundation. In summary, it is important that children are provided with supportive relationships with adults from their family and community, experiences of ‘positive stress’ and real opportunities for developing adaptive skills throughout childhood. The aim of this is to build resilience so that the child can cope with life’s stressors and difficulties in a positive and adaptive way. Otherwise, the child may become overly stress, anxious, weighed-down and depressed which will lead to poor outcomes through adolescence and adulthood.